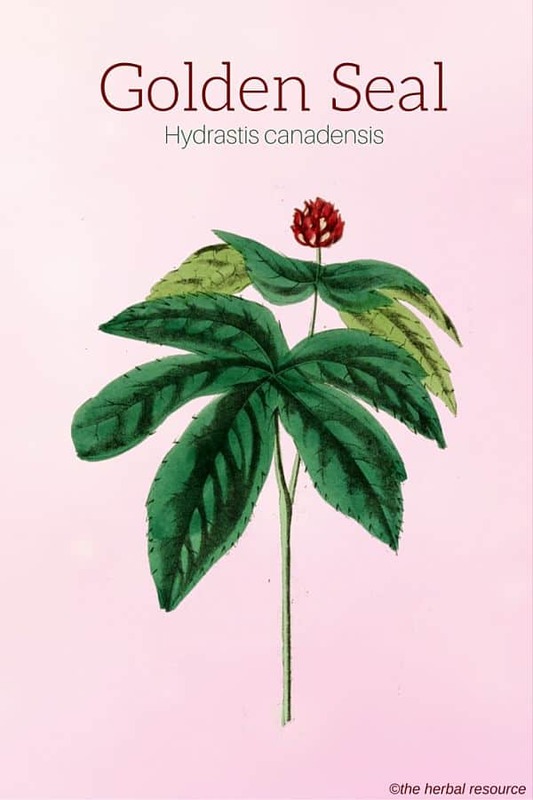 Botanical Name of Golden Seal: Hydrastis canadensis. Other Common Names: Goldenseal, eyebalm, ground raspberry, orangeroot, yellowroot, yellow puccoon, Indian dye, eye root, jaundice root. Habitat: Golden seal is found in the northeastern United States in shady woodland areas at the edges of forests in rich, moist soil. This plant prefers slightly acidic soils and will prosper in partial sun, or even shaded areas. Description: Golden seal is a small perennial herb. The woody, yellowish rhizome gives rise to a single hairy stem and top with two five to nine-lobed leaves that terminate in a single greenish-white flower. 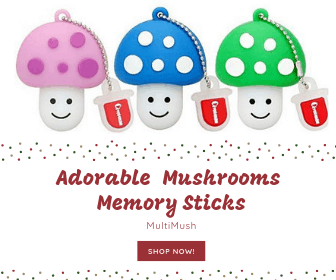 It grows to a height of about 30 centimeters. The knotty, yellowish-brown rhizome is roughly 5 centimeters long and 1 centimeter thick with an abundance of rootlets. It has a strong odor and bitter taste. Golden seal does produce a fruit, similar to the raspberry in appearance, but it is not edible. Plant Parts Used: The root of this plant is used in herbal medicine. This herb was used by the Native Americans to treat a variety of ailments such as loss of appetite, inflammation, whooping-cough, liver disorders, malaria, indigestion, and heart problems. Golden seal is used as a treatment, especially in combination with echinacea, for some respiratory complaints such as stuffy noses, sinus problems, bronchitis, and hay fever, and it is considered a good herbal remedy for symptoms of the common cold and the flu. It is also used, in combination with other herbs to cleanse the body of toxins and help purify the kidneys and urinary tract. It is gaining popularity as a natural anti-diabetic treatment as well. It has been shown to increase insulin production and, through separate pathways, lower blood sugar levels. This use must be monitored closely due to golden seal’s tendency to raise blood pressure, which is a common complication of diabetes. Golden seal can be effective for naturally treating a yeast infection, athlete’s foot and skin irritations caused by fungi and bacteria such as acne and skin rashes. Because of its effects on blood vessel tone, it has been used to control heavy menstrual bleeding and other kinds of internal bleeding. It has been used for external bleeding as well. 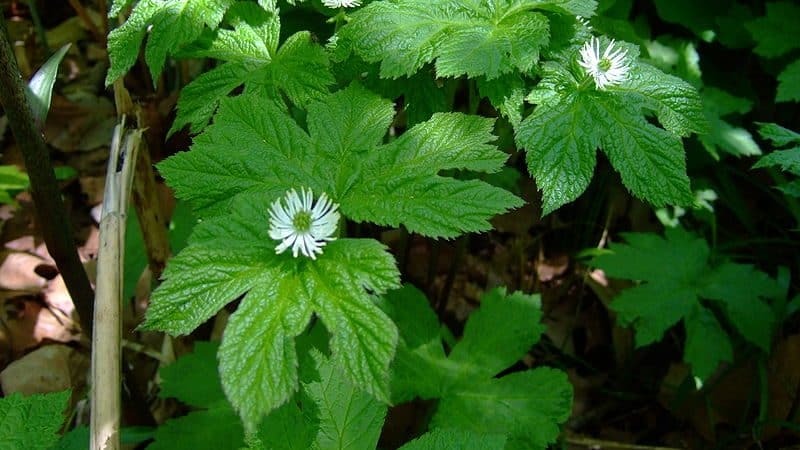 Golden seal contains berberine and other alkaloids which are thought to have antimicrobial properties. Because of these properties this herb could be useful in treating diarrhea. Today, due to over-harvesting and loss of its natural habitat golden seal has become an endangered plant and should not be collected from the wild. It is now listed by CITES (Convention on International Trade in Endangered Species of Wild Fauna and Flora). Golden seal is sold commercially in tablet, tincture or capsule form and should be taken according to the manufacturer´s suggested dosage. Golden seal is also available in a powdered form that’s used to make a mouthwash or skin wash.
Mixing 2 teaspoons of dried powdered golden seal root and 5 ounces of boiling water for 10 minutes will yield a good mouthwash or skin wash. This may be used up to four times a day. Golden seal use can cause emotional changes and nausea in some people. It may also cause a rise in blood pressure and has been shown in some cases to lower blood sugar levels. Due to its uterine contracting abilities, pregnant women should not use it. 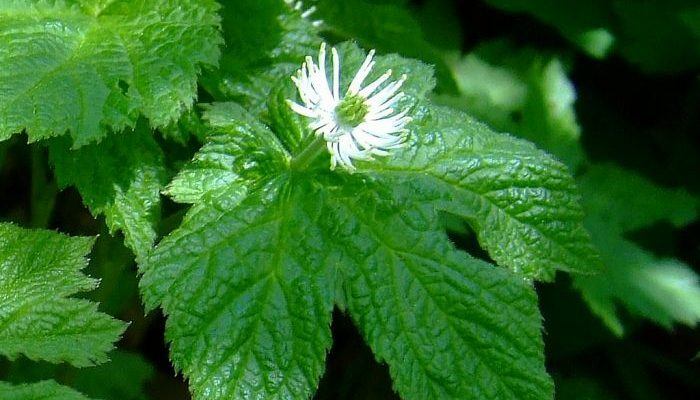 Golden seal may irritate the structure of the gastrointestinal tract, especially in those who already have GI disorders. Topical use may cause the skin in the affected areas to become more sensitive to sunlight. Golden seal may cause an increase in the sedative effect of other herbs or drugs used for sedation. It may also interfere with drugs used to lower blood pressure. Those on blood sugar control medications should monitor their levels closely while taking golden seal. It may also counter the effects of drugs used to prevent acid reflux or chronic gastric acid issues. 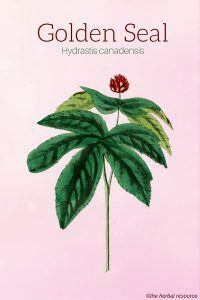 Foster, S. and J. Duke: A Field Guide to Medicinal Plants and Herbs of Eastern and Central North America. New York. Houghton Mifflin 2000. Bergner, Paul: The Healing Powers of Echinacea, Goldenseal and Other Immune System Herbs. Prima 1997. Mills, Simon and Kerry Bone: Principles and Practice of Phytotherapy: Modern Herbal Medicine. Edinburgh. Churchill Livingstone 2000. Foster, Steven and Varro E. Tyler: Tyler’s Honest Herbal: A Sensible Guide to the Use of Herbs and Related Remedies. Binghamton, NY. The Haworth Herbal Press 1999.